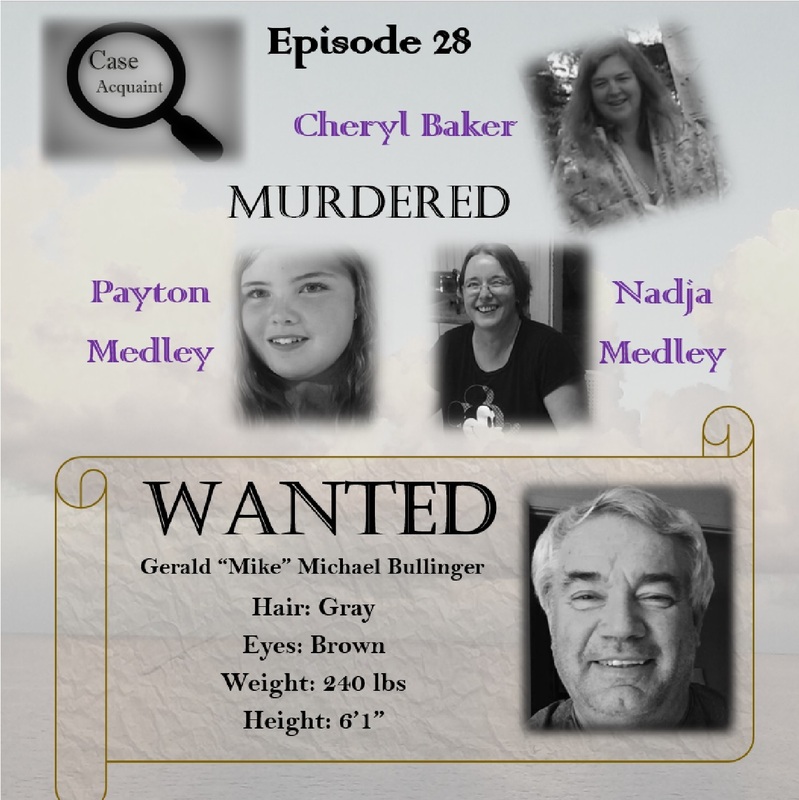 Mike Bullinger is wanted for the murders of Cheryl Baker, Nadja Medley, and Nadja’s young daughter, Payton Medley in early June of 2017, He had a two week long head start before the authorities began searching for him. Bullinger is 61 years old, and when he went on the run, he had gray hair, brown eyes, was six ft one, and about 240 lbs. He likes motorcycles, planes, hunting, guns, horses, and the outdoors. He also likes to lie and cheat. He is a master manipulator, and somewhat of a chameleon, so check out his picture and keep an eye out for him. There are rewards being offered, and we will place links, images, and other items in our blog entry at our website, caseacquaint.com. Cheryl Baker’s memorial slideshow with images of her art, and a very good article about Cheryl. Article about Nadja and Payton. Payton’s Youtube channel.